Do you have lots of memories shared on facebook? What if your account banned or hacked? 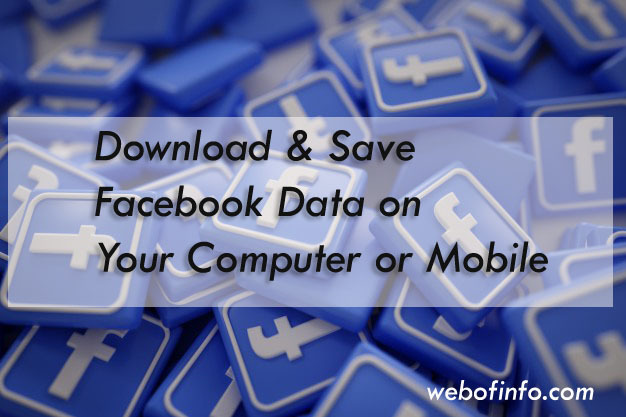 Don't Worry here is a solution which is given by facebook Save Copy of All Facebook Data on Your Computer or Mobile and save your memories for a long time. I shall tell you simple way which can be used on desktop version but on mobile it is also the same method. Click on second option "Download your information"
3 Click on second option "Download your information"
After this click create file option will be opended where a list of data will be displayed where you can choose which data you want to save and which is not important for you. Simply click on those options which you want to save. 4 Click on "Create File"
Our 4th option is our last level of this proceedure. Before click on "Create File" you can choose which type of file you wanna save. This file can be in HTML Format or JSONS Extention. Further you can choose a specific date data and also can set High Quality Data or Medium or Low, Choice is yours. After Clicking on Crate file Facebook will staring making file it may take few minutes however facebook will alert you by notification when your file is ready to download.